One of the most important roles of a father is raising their child. A father can make a huge difference in the life of their little one and can help them grow up to be a good person. Our fatherhood training center in Bronx, New York is committed to providing the tools and knowledge that new fathers need in order to be successful in raising their little ones. Children who have been raised by fathers are less likely to find themselves in trouble with the law or doing less than acceptable. This is because as a father, you are there to provide a strong moral compass that can guide your children for their entire lives. It is important to help them know the right from wrong, to ensure they are able to live a better life. Also, the love of a father can make a world of difference. A child who is being raised by their father will typically have better emotional and mental health compared to children who aren’t. They will feel more confident, more secure, and they will typically have an easier time succeeding in the things they are interested in. 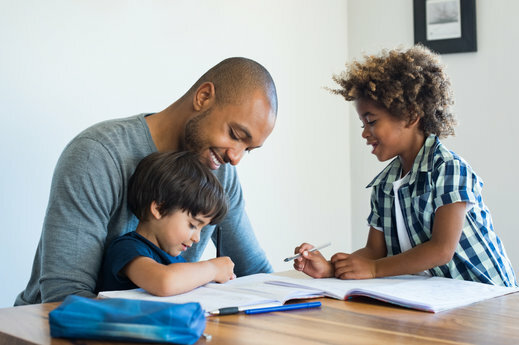 Our fatherhood program in New York is here to ensure you know what to do in order to provide for your family and children, so they can reach their full potential. Those are just a few of the many ways a father is important in the life of their child. If you would like to find out more about this or if you are interested in learning more about our services and parenting, please do not hesitate to get in touch with Fathers 4 Progress Inc. for more information.